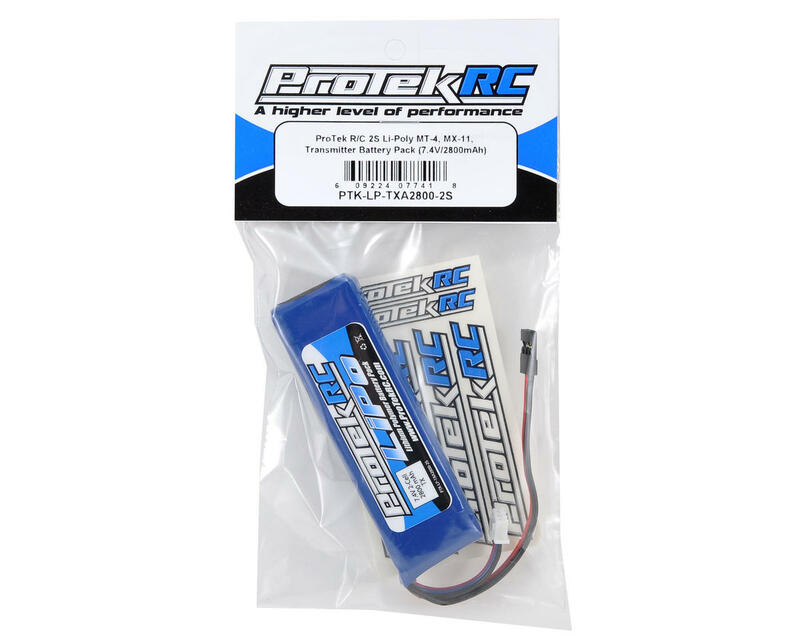 This is a ProTek R/C 2S - 7.4 Volt, 2800mAh Li-Poly transmitter battery pack. This battery has been developed specifically for the Airtronics MT-4, M11X, M12 and KoProPo EX RR transmitters. This light weight Li-Poly transmitter battery will help to reduce the overall weight of your transmitter, which is great for long main events! The overall weight will be significantly reduced when compared to a typical NiMH transmitter pack as this battery weighs a scant 105 grams! (Six typical NiMH AA batteries weigh approximately 168 grams). This battery will not only reduce the weight of your transmitter, you also get an incredible 9 to 10 hours of run time! 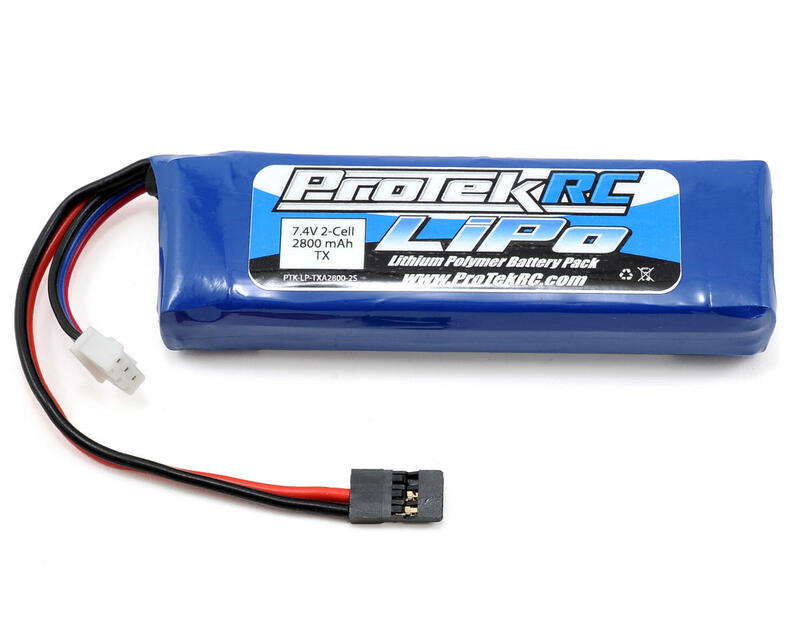 I purchased this Lipo battery for my Airtronics MT-4 about 2 years ago and it is still as reliable as it was when it was new. I have discharged it for storage a few times for around 2 to 3 months each time and it has always been reliable and kept each cell balanced perfectly. I have used the ProTek shorty pack and the ProTek 4s starter box Lipo and both puffed up on me. After each race weekend of use I discharged them in storage mode as suggested making sure each cell was balanced, but these two ProTek versions both puffed up and went bad. Others have had the same issue with those two models as well. But as far as the Transmitter battery goes it has been an excellent reliable battery.